I like your electric bike. electric bikes are great for short trips and errands of up to 10-15 miles. And One of advantage of electric bike is that it saves environment from pollution. I highly recommend for all comments of this blog and I just want to say that its really succeed in work. ~@~@~@~@~~~~~~~~Gas prices at this time in Lexington, KY are around $2.00 a gal. However, the oil companies hook us and then have us pay more for gas inn cycles. I don't trust them and I will continue to ride my electric bike as much as possible. I bought a Giant LaFree e-bike at electric bikes northwest last year. I use it to commute from the top of crown hill to belltown and it’s a dream! I also use it for the sunday market and load up with groceries and peddle home. I’ve passed cars going up hill on 8th Ave NW. You still need to peddle with this bike and you will get a workout if you push yourself. I’m just waiting for the daylight to last long enough to start my spring commute. Thanks for writing this article. It was very interesting and shed some light for me. certainly know how to get a girls attention! Im glad that youre here. I feel like Ive learned something new by being here. Electric bikes have a bright future ahead because this world is gonna face an energy crisis in near future. Love to ride electric bikes for it is easy and convenient. Electric bikes or scooters - electric or gas - are the way to go. They give you more bang for your buck - take you farther on a tank of gas - and sometimes you can house them inside. Not so good if you take the family for a ride! 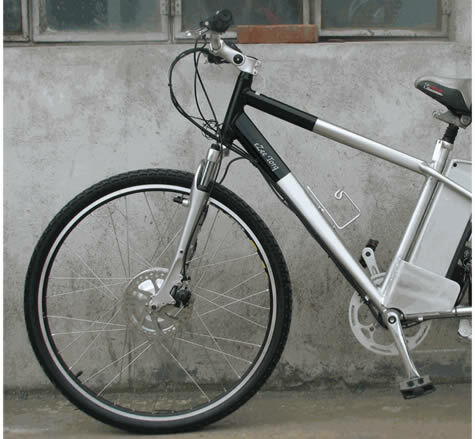 Electric Bikes are loved because of their lite weight and also these help in reducing the air pollution in our areas.